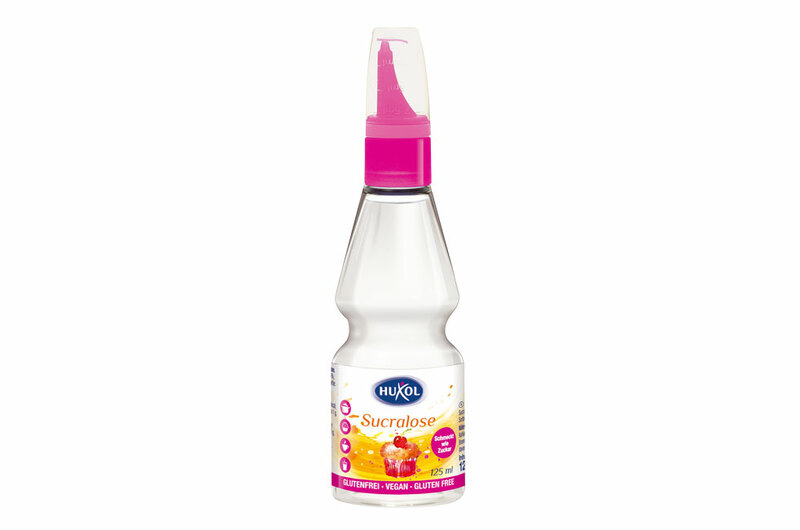 Sucralose liquid sweetener from HUXOL can be conveniently used for the calorie-reduced enjoyment of cold beverages and solid food that is either cooked or baked. The unique recipe tastes like sugar and sweetens desserts but also savoury chutneys – without any calories. With the simple drop-by-drop dosage and the handy measuring lid, HUXOL Sucralose liquid sweetener can be quickly and easily stirred and mixed in.